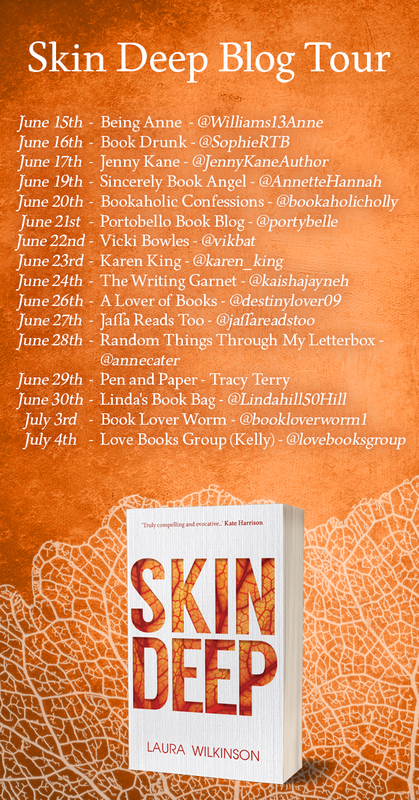 I’m delighted to welcome talented author, and my lovely friend, Laura Wilkinson, to my site today as part of her blog tour. 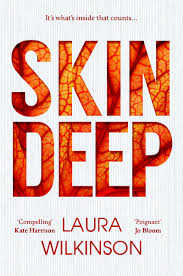 Laura is here today with an exclusive extract from her brand new novel, Skin Deep. Art student and former model Diana has always been admired for her beauty but what use are good looks when you want to shine for your talent? Insecure and desperate for inspiration, Diana needs a muse. Facially disfigured four-year-old Cal lives a life largely hidden from the world. But he was born to be looked at and he needs love too. A chance encounter changes everything; Cal becomes Diana’s muse. But as Diana’s reputation develops and Cal grows up, their relationship implodes. Both struggle to be accepted for what lies within. Is it possible to find acceptance in a society where what’s on the outside counts for so much? We walked about the Hulme estate and Alan took photo after photo. ‘Funny that estate also means a stately home, isn’t it? You couldn’t get much further from ornamental gardens, gilded mirrors and roaming stags. Though this place has its own kind of beauty,’ I said. He took pictures of the syringes and Kit Kat foils on the stairwells – the detritus of the addict’s life – the boarded up shops, the dogs tied to bollards with string outside The Spinners pub, the old PSV club, the girls in the line for the cash point with their turned-out toes and gently curved arms, dancers-in-waiting from The Northern Ballet School, trying to be regal and graceful in the middle of all this gorgeous, vital ugliness. We stretched towards the edges of the community, noting the distinct change in character once normal society was within reach. The blocks of flats were lower, the disaffection and alienation less marked; this was a better class of slum, and the inhabitants considered themselves lucky to be outside the crescents. The sun was setting as we crossed the bridge spanning the motorway and made our way back into the bowels of the estate. In the distance, the warehouses lining the river Medlock were backlit by the dying sun. I nodded. I’d not heard Alan so serious. He was angry and sad, and he moved me. He turned away from the view to look at me. I continued. ‘I was somewhere I wasn’t meant to be.’ I told him everything I knew, or guessed, or imagined. How does Alan know this? Off-kilter Alan, who doesn’t have any friends other than me and Linda, and doesn’t seem to work, or sign on, or be connected to anyone worth knowing, let alone Mr and Mrs Super Cool of Hulme. As it transpired Alan was not the loser I’d assumed he was. People talked to Alan; he gained their trust. When Cardie Girl had deserted him, he’d got into a conversation with the scarlet-lipped punk who’d spilt all sorts about Pru and Michael. They were junkies, rich kids from Chelsea who’d stayed on after they dropped out of university in the late seventies, later ‘working’ as artists and rebelling against the Thatcherite regime. Purportedly, they ran a small printing press and published a Marxist magazine that was distributed on campus – I’d never seen it – organised parties and marches and generally made a nuisance of themselves. I wondered how a couple of junkies managed to squeeze all this in between fixes. ‘That does not make it right.’ I was shouting. ‘It’s wrong to trap a kid. Force them to do things they don’t want to.’ My voice cracked and I heard how strange and overblown I sounded. I was crying. Alan couldn’t have understood where my tears came from, but he pulled me to his chest, and I didn’t object to the stink of his armpits or smelly old jacket. At least not at the time; I complained bitterly later. Bunny made me do things I didn’t want to. She’d locked me in a wardrobe and told me she’d let me out only when I was ready to be beautiful. Having inherited my mother’s stubborn gene I’d stayed there for hours, belly griping with hunger, bladder aching. In the end I’d pissed on her shoes and I got a beating for that too. ‘I’m not sure I can.’ I wiped my eyes and smiled weakly at him, and he pointed the camera at me. ‘I HATE my picture being taken!’ I grimaced and turned my back on him. ‘The attention wears thin after a while, and it couldn’t make up for the hours spent getting my hair and nails done when all I wanted to do was hang out with my friends, play with my Barbie dolls and other normal stuff.’ I couldn’t look at him. We strode along, our long legs and broad steps carrying us home faster than most. Alan talked about using his bathroom as a dark room, and asked if I’d like to watch him develop the shots he’d taken. As we marched along the curve of the crescent I saw a figure outside number fifty: Jim. Linda would be pleased. And a lightbulb came on in my head. Jim! He’s the way into Pru and Michael’s world, the way to the boy. Today has indeed been good. Liverpool born, Laura is a taff at heart. She has published six novels for adults (two under a pseudonym) and numerous short stories, some of which have made the short lists of international competitions. Public Battles, Private Wars, was a Welsh Books Council Book of the month; Redemption Song was a Kindle top twenty. The Family Line is a family drama set in the near future, looking at identity and parenting. Her latest is Skin Deep. Alongside writing, Laura works as an editor & mentor for literary consultancies and runs workshops on aspects of craft. 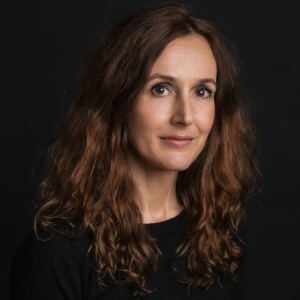 She’s spoken at festivals and events nationwide, including the Frome Festival, Gladfest, University of Kingston, The Women’s Library and Museum in Docklands. She lives in Brighton with her husband and sons. Thank you for sharing such a fantastic extract Laura. Good luck with the rest of your tour,- and with the gorgeous Skin Deep!